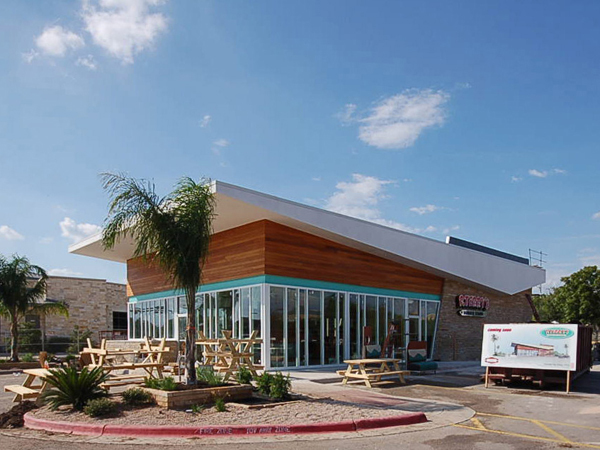 After completing the P. Terry’s Lamar location, Structures was asked to be a part of the third location on William Cannon. As with the Lamar location the architecture was influence by the Southern California feel of the 1940s and 60s. The original building was transformed into a fresh and crisp environment with the use of futuristic designs such as the exterior and interior use of Garapa wood.